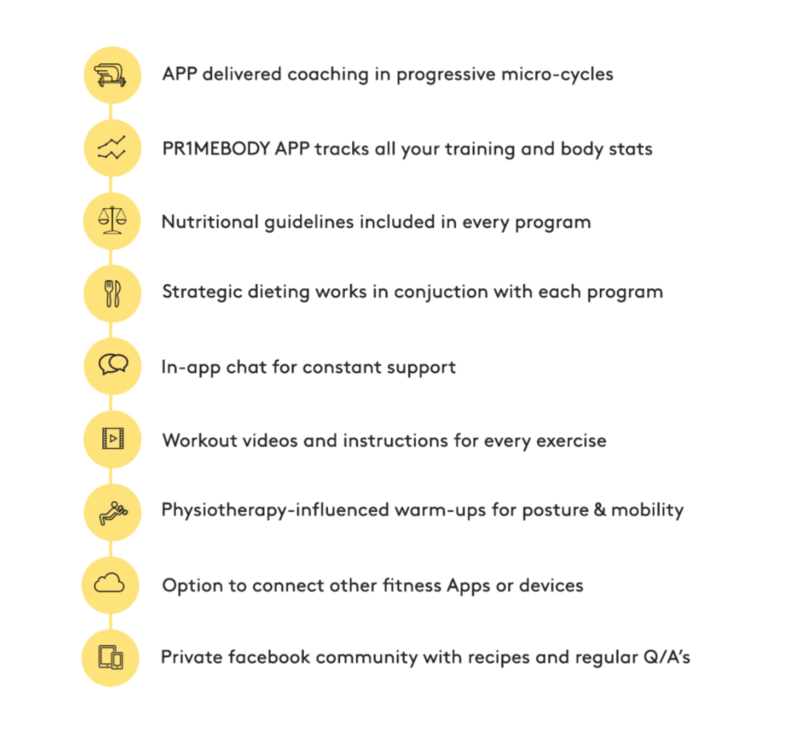 Foundation offers users an entry into the world of fitness or new structure for those that more experienced but feel that both their training and diet needs more direction. If all that is jargon – then basically all you need to know it’s structured as the name implies; to form a strong foundation of strength, conditioning and ability which will improve your confidence and keep you on track with your aesthetic goals. The goal would be to complete at least 3-4 sessions a week. However, we know life gets, so if you can only manage 3 then this is still great (just make sure you don’t always miss the last session of the week – keep then rotating!) If you are used to doing more, you can start rotating the workouts a second time later in the week. Additionally, the app allows you to add other sporting activities/group classes if you want to track these. Although to reach your goals it’s important that the base workouts are priority.